Widespread showers by Thursday could keep highs stuck in the 60s! 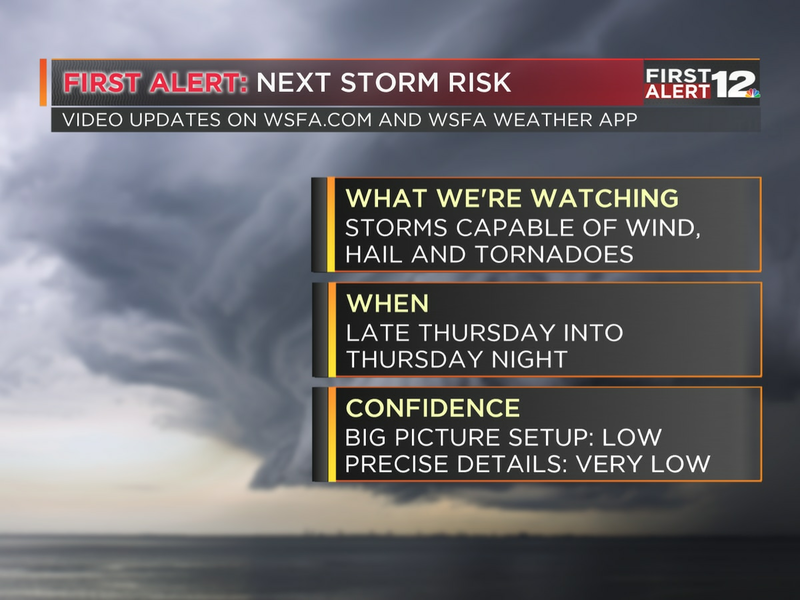 MONTGOMERY, AL (WSFA) - The remnants of Hurricane Willa will bring a good bit of rain for the second half of the week, but don’t fret-- the rain should move out of our area in time for the weekend. Clouds are decreasing and temperatures are falling tonight. Lows will bottom out in the upper 40s and low 50s, so it will be a seasonably chilly start to Wednesday. You’ll likely want a jacket in the morning, but you won’t need it by the afternoon. 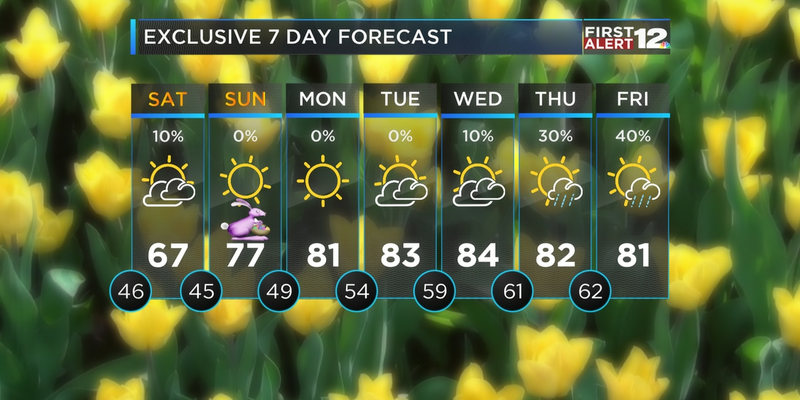 Highs will warm to the mid 70s, and a bit more sunshine will shine down on us, too! Out to our west, what is currently Hurricane Willa will be our next chance of rain. The remnants of this storm looks to slide through southern portions of the United States by late this week, bringing with it an upped chance for showers and a few isolated storms. There’s a good chance of rain on Thursday, with lingering showers possible Friday. The abundant cloud cover and rain will cause our high temperatures to take a tumble... all the way down to the low 60s! While our weekend does trend on the drier side, there could still be a few leftover pop ups on radar Saturday. Overall, though, it will be sunnier and temperatures will be somewhat cool with highs in the mid to upper 60s. 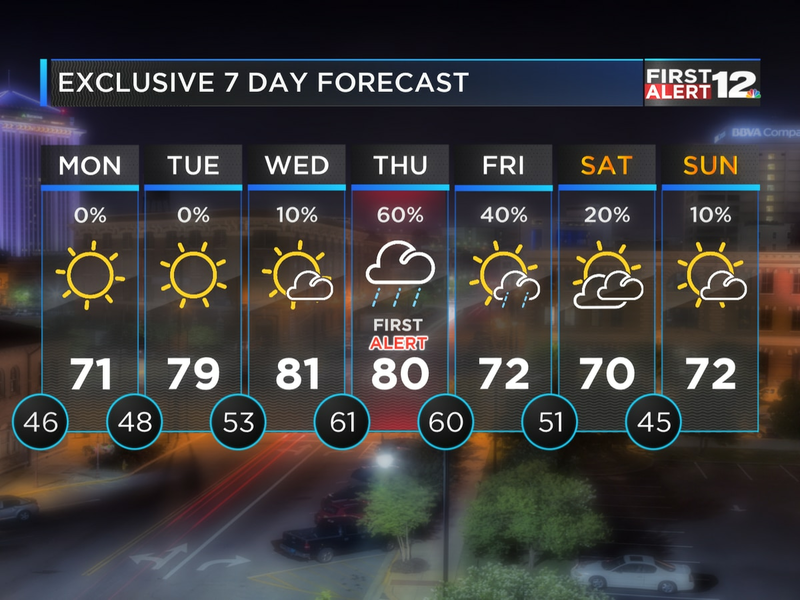 it will make for good weather for the Magic City Classic in Birmingham!